IWB holsters are TUCKABLE, durable and extremely comfortable for all day wear. They are designed to be worn around the 4 to 5 o'clock position for optimal comfort. The leather backer is matched to the size of your firearm. 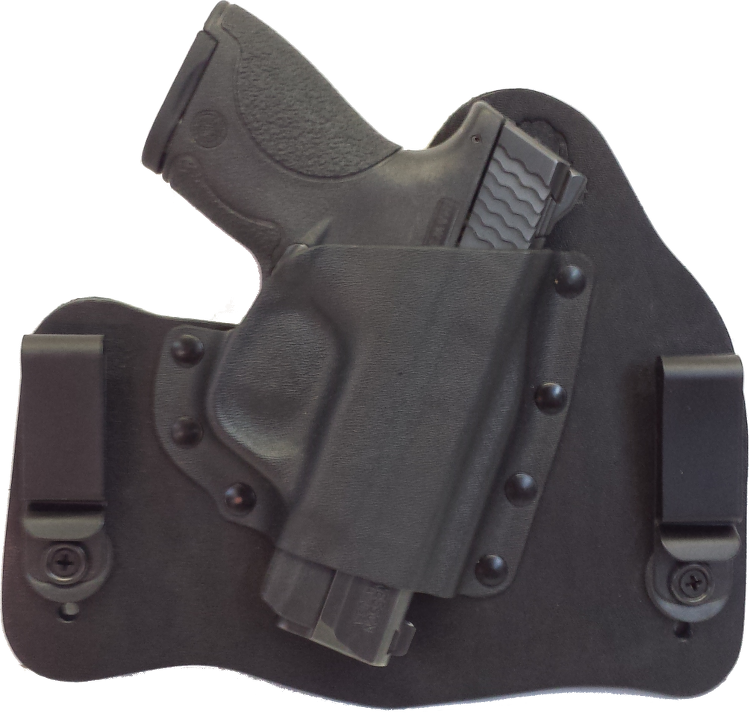 IWB holsters come with 1.5" heavy duty powder coated metal belt clips to hold your holster firmly in place.The cant and ride height of your weapon is fully adjustable.